THREE years ago, Mr Daniel Hng of Alpha Analytical envisioned a centre to train his staff and customers, and showcase his firm's products. But he fretted about the cost. The Government's Productivity and Innovation Credit (PIC) scheme came "just at the right time", he said. The firm's $2 million demo lab at Toh Guan Road was set up in April 2012. Mr Hng said yesterday the 28-strong firm, which distributes scientific equipment, has saved about $1 million under the scheme. "If not for the scheme, we would have gone about the lab at a much slower pace. Because of it, we dared to proceed. "The current extension (of the scheme by three years) is very helpful. It motivates us to continue to take risks to move forward." On top of the hardware, his firm also starting using SAP software last year to improve its operations, he said. Even as small and medium-sized enterprises like Mr Hng's have benefited from the scheme, speakers at an RSM Chio Lim seminar on the Singapore Budget yesterday advised firms to first identify areas for improvement before spending on "productivity". Said Ms Cindy Lim, partner and head of the international tax division at RSM Chio Lim: "Firms should know what they want to achieve, for example, to lower the number of workers, automate certain processes... If you get equipment that turns out to be a white elephant, what's the point?" In one case, a couple who sold curry puffs spent $800,000 on a machine that produced 300,000 of the pastries daily. Yet they could not even sell half of the amount. In the end, they had to sell the equipment, she said. "They had heard about enhanced tax deductions and cash payouts, and bought the equipment without knowing what it was going to do for them." The Inland Revenue Authority of Singapore has been conducting seminars on the scheme for firms, especially SMEs, said Ms Lim. In illustrating the benefits of the new PIC Plus scheme, which increased the expenditure cap from $1.2 million to $1.8 million, a company spending $1.6 million will now have an additional $132,800 in tax savings, she said. 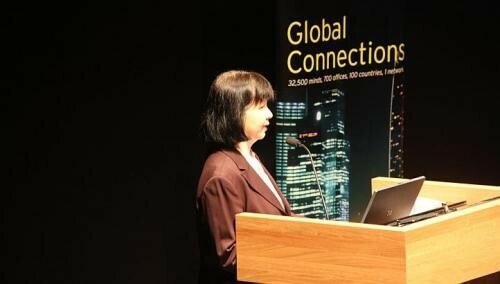 In a separate presentation, Ms Selena Ling, head of treasury research and strategy at OCBC Bank, noted that although Singapore has moved up in capacity for innovation rankings in the World Economic Forum's Global Competitiveness Report, its score for company spending on research and development has not changed. This suggested that innovation improvements may have come mostly in the public sector. Troublingly, Singapore has even slipped in terms of the availability of scientists and engineers, she said. "Going forward, the Government should help SMEs focus on what is innovation and how to achieve that. That's the second part of PIC that may be slightly harder (to achieve)."